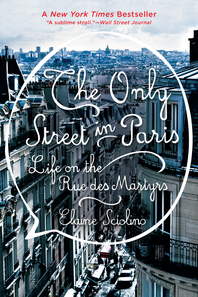 The Only Street in Paris - Description | W. W. Norton & Company Ltd.
Elaine Sciolino, the former Paris bureau chief of The New York Times, invites us on a tour of her favourite Parisian street. 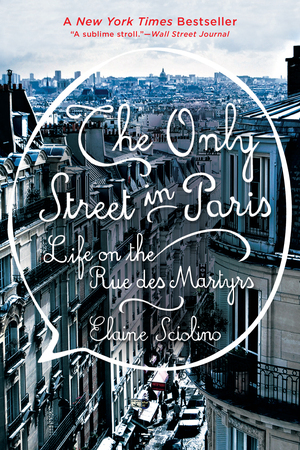 “I can never be sad on the rue des Martyrs”, Sciolino explains as she celebrates the area’s rich history and vibrant lives. While many cities suffer from the levelling effects of globalisation, the rue des Martyrs maintains its distinct allure. Sciolino reveals the charms and idiosyncrasies of this street and its residents—the Tunisian greengrocer, the husband-and-wife cheesemongers, the showman who’s been running a transvestite cabaret for more than half a century, the owner of a 100-year-old bookstore, the woman who repairs eighteenth-century mercury barometers—making Paris come alive in all its majesty. The Only Street in Paris will make readers hungry for Paris and for the kind of street life that is all too quickly disappearing.